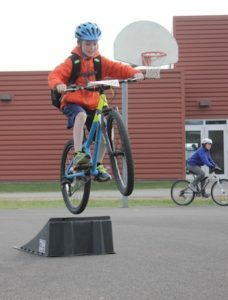 Our mission is to support BMX and Mountain biking in Missoula by building two unique bike parks where our community can ride and progress skills. We are looking to secure $400,000 to build the Syringa and Bellevue Bike Parks. 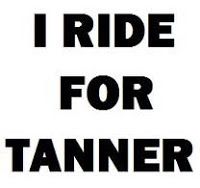 July 2, 2011: Tanner Olson passed away in a car accident. Fundraising efforts started in late summer of that year for a bike park in his memory and continue today. Nov – Dec 2015: Leadership team, local residents, and neighbors developed guiding principles and ideals for parks through two public design workshops. Preliminary designs sent to International Mountain Biking Association design. April 2016: Missoula Conservation Lands Advisory Committee reviews plans at a public meeting and a public open house was held. Friends of Syringa Park circulated Plan to all neighbors bordering the park and wrote a letter of support. Summer 2016: Edits made based on comments received; budget and property transfer documents drafted. Sept – Nov 2016: Missoula Parks and Recreation Board review the budget, public process and transfer documents and adopt the Master Plan over two public meetings. Missoula City Council and Missoula County Commissioners approved transfer of the park from the County to the City. Spring 2017: Project is awarded $50,000 RTP Grant from Montana Recreation Trails Program. Summer/ Fall 2017: Capital Campaign to raise final funds is initiated.